Seinfeld virtually defined an era and appears on countless lists as one of the greatest television shows of all time. In fact, the show even served as the inspiration — or was "ripped off," as some would say — for another legendary primetime series (but more on that later.) 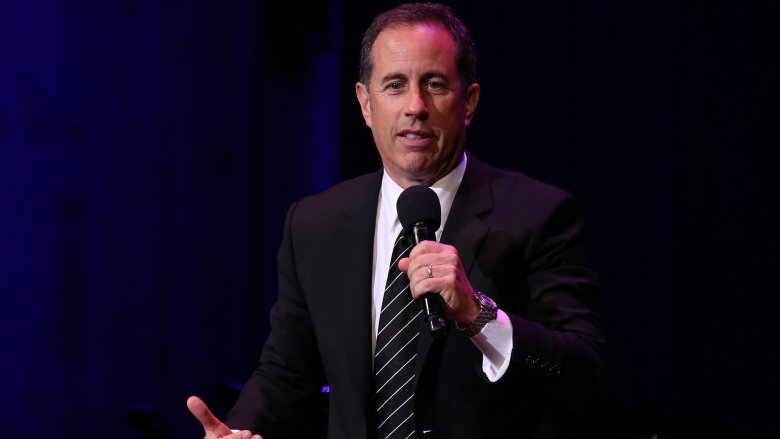 After airing for nine seasons from 1989 to 1998, it's nearly impossible not to have heard of the classic sitcom or its star, stand-up comedian Jerry Seinfeld. He's found more recent success with his online series Comedians in Cars Getting Coffee, but how much do you really know about this guy? This is the untold truth of Jerry Seinfeld. "We would come up with scripts to sell the most light bulbs," Costanza told the New York Daily News. "We called down South. 'This is Mike Davis. You remember me? The handicapped veteran? You ordered two cases of bulbs from me?' And I would drop the phone and knock it around. 'You know, it's hard to get used to these hooks.' Jerry and I would be on the floor. And we would sell two to three cases." Seinfeld later found himself waiting tables, but according to the Daily News, he quit after landing a job emceeing at the Comic Strip two nights a week. He remembers heading home to tell his parents the good news. "I remember standing on the platform of the Long Island Rail Road in Massapequa," he said. "That was the highest moment of my career. I was a comedian. I had made it." 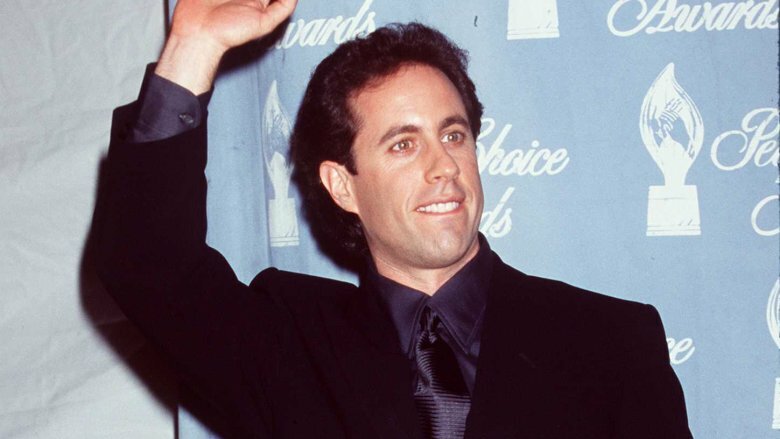 In a 2007 interview with Parade, Seinfeld revealed that he studied Scientology during his early years as a comic, and he apparently loved it, despite never becoming an active member of the church like Tom Cruise and John Travolta. "I actually got to it from my auto mechanics teacher in high school, who was into it, and he was telling me about it," Seinfeld said. "In my early years of stand-up, it was very helpful. I took a couple of courses. One of them was in communication, and I learned some things about communication that really got my act going." "They have a lot of very good technology," he added. "That's what really appealed to me about it. It's not faith-based. It's all technology. And I'm obsessed with technology." When Seinfeld first tried acting, he ended up fired from the sitcom Benson after just three episodes. According to Business Insider, the humiliating incident only encouraged him to work harder on his stand-up act, which eventually caught the eye of a Tonight Show scout. From there, Seinfeld became part of the NBC roster, teaming up with fellow comic Larry David to create what began as The Seinfeld Chronicles. Can you believe the show almost dropped off the air after only one season? "In the history of pilot reports, Seinfeld has got to be one of the worst of all time. I have it next to my desk; it says overall evaluation 'weak,'" former NBC President of Entertainment Warren Littlefield told FOX411. "The audience did not like the show and that scared us, but we did manage to find money to film four episodes to hold the show intact by making one less two-hour Bob Hope special, and it did ok. It was against repeat competition in the summer and then we just took a deep breath and ordered 13 more." Those 13 episodes didn't go well either, but NBC could tell they had something special and continued to gamble on the show. "We put it up against Home Improvement and it got slaughtered, but we still really liked what they were doing," said Littlefield. "It made us laugh, so we stuck with it and ultimately that reward was enormous." During his stand-up career, Seinfeld dated comedian and writer Carol Leifer, and the two remained close friends even after they broke up. If that scenario sounds familiar, that's because it's exactly like the relationship between Jerry and Elaine Benes (Julia Louis-Dreyfus) on Seinfeld. Though Leifer is generally believed to be Elaine's true inspiration, she won't go so far as to confirm it. "Well, you'd probably have to ask Jerry Seinfeld and Larry David," she told news.com.au. "People make that connection because I dated Jerry many years ago and we have stayed friends all these years. So I think when they were thinking about characters for the show it always makes it interesting when you have a friend who you've dated before. It kind of makes it more of an interesting relationship, so that's why people make the connection." It's also worth mentioning that Leifer won four Emmy Awards writing for Seinfeld, which only adds to the evidence of just how deeply connected she is to the characters. Part of what makes Seinfeld a comedy classic is that Seinfeld and David were not afraid to admit when a joke or premise was falling flat. 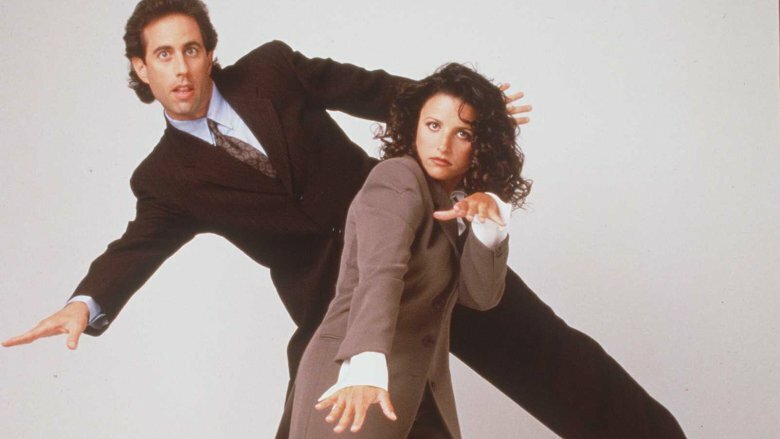 During a Reddit AMA, Seinfeld admitted to stopping an episode in the middle of filming because even their best writers couldn't make a certain subject work. "There was one episode where Jerry bought a handgun." Seinfeld wrote. "And we started making it and stopped in the middle and said 'this doesn't work.' We did the read-through and then cancelled it. A lot of other stuff happened, but trying to make that funny ended up being no fun." During the fourth season of Seinfeld, there's a meta plotline about Jerry and George pitching a sitcom to NBC called Jerry that they describe as a "show about nothing." While the plotline was an obvious joke about the behind-the-scenes mechanizations of making a network sitcom, many people felt it was a direct commentary about the show itself. Seinfeld soon became known as the "show about nothing," and Seinfeld apparently wasn't thrilled with that description. Calling Seinfeld a "show about nothing" is "nonsense," he told The Hollywood Reporter. "That was made up by the press." He likened the show's "crispness and precision" to the The Abbott and Costello Show (1952-57) and described a self-imposed rule on his series: "No hugging. No learning." He added, "Nobody wants to learn from a comedy. Learn somewhere else." 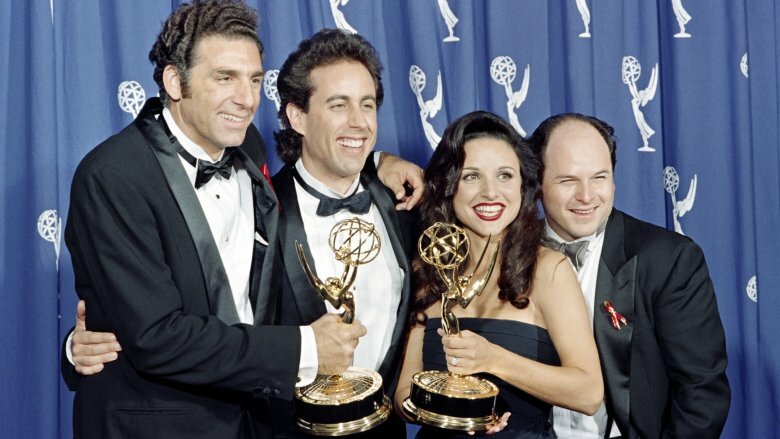 By the time Seinfeld began its ninth season in 1997, David had stepped down as showrunner and Seinfeld was in full creative control of the series, but the star of the show dropped a bombshell just a few months into that season by announcing that Seinfeld would end in the spring of 1998. Even more surprising was the fact that Seinfeld turned down a ridiculous amount of money by declining a Season 10. "Over $100 million. We offered him $5 million an episode," former NBC executive Littlefield told FOX411. "We didn't mess around. What we put on the table was unheard of. We went in there with a staggering sum and there was tremendous confidence that no one could walk away from it. He came to me and said, 'I don't have a life, I'm not married, I don't have kids.' We gave it everything we had, he was tempted, but in the end it was a quality of life decision." Seinfeld wasn't exactly strapped for cash, either. According to Forbes, he earned $267 million in 1999 alone thanks, in part, to Seinfeld going into syndication. But following Seinfeld, he did get started working on his personal life, and let's just say it really needed some help. In 1993, a then 38-year-old Seinfeld raised eyebrows after he was romantically linked to 17-year-old Shoshanna Lonstein after meeting her at Central Park while she was still a high school senior. It was pretty shady, and the comedian was noticeably flustered when pressed about the relationship by Howard Stern. "I didn't realize she was so young," Seinfeld told the shock jock, according to People. "This is the only girl I ever went out with who was that young. I wasn't dating her. We just went to a restaurant, and that was it." However, People noted that wasn't just it; Seinfeld was often spotted at George Washington University where a then 18-year-old Lonstein was attending college. She even took weekend trips to Los Angeles with him and was introduced to the comedian's friends. "I think it's serious between them," said pal George Wallace. "She's beautiful and mature. She's good for him." They reportedly dated four years, and Seinfeld is rumored to have proposed to her at one point. His next attempt at marriage would be more successful, yet not without its own brand of controversy. 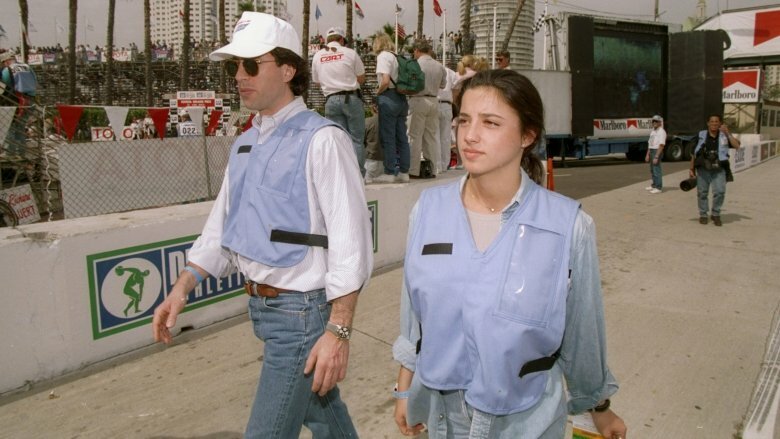 Shortly after breaking up with Lonstein, Seinfeld met Jessica Sklar in 1998, and the two immediately formed a connection. There was just one small problem. She was a newlywed! According to E! News, Sklar had walked down the aisle about a month prior with a guy named Eric Nederlander and just returned from a 3-week honeymoon in Italy. Yikes! But that didn't stop Seinfeld and Sklar from forging ahead and getting engaged in 1999. You can guess how all of this went over with her ex-husband. "Jerry and Jessica have no respect for decent values," Nederlander told the New York Post. "They deserve each other. I'm going on with my life." 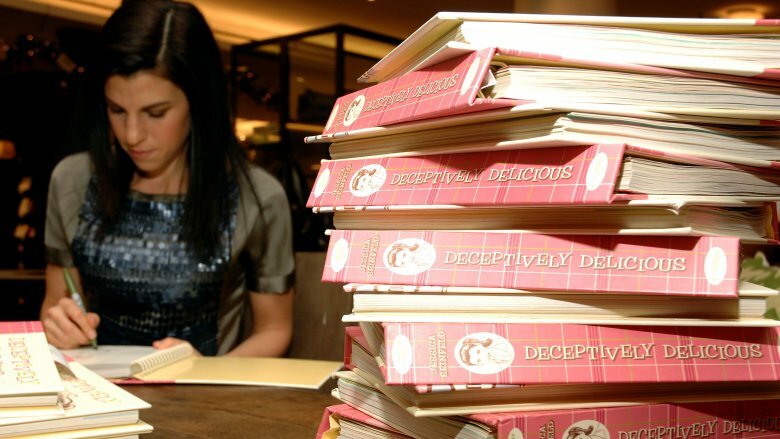 In 2007, Jessica Seinfeld published Deceptively Delicious, a cookbook about how to hide vegetables in your children's food to help them eat healthier. However, earlier that year, Missy Chase Lapine published a very similar cookbook called The Sneaky Chef, and she decided to sue Jessica for plagiarism. Jerry reportedly made the situation worse when he defended his wife on the Late Show with David Letterman. "One of the fun facts of celebrity life is wackos will wait in the woodwork to pop out at certain moments of your life to inject a little adrenaline into your life experience,” he told Letterman (via NPR). "My wife never saw the book, read the book, used the book…But the books came out at the same time. So this woman says, 'I sense this could be my wacko moment.'" Lapine then sued Seinfeld for libel. Both of her lawsuits against the Seinfelds were eventually tossed out of court. Turns out you can't copyright sneaking vegetables into your children's foods, and Jerry's jokes were protected under the First Amendment. After conquering network TV with his hit sitcom, Seinfeld turned his attention to the web and launched the online series Comedians in Cars Getting Coffee in 2013, but it wasn't easy. According to Huffpost, despite his fame and showbiz success, Seinfeld was repeatedly told by social media and content experts that people won't watch web videos that are longer than five minutes. He even got shot down by Starbucks CEO Howard Schultz, who opted not to sponsor the show. Fortunately, Acura stepped in and let Seinfeld have full creative control of the series, which not only became a hit for Crackle, but was nominated for two Primetime Emmy awards. However, things got dicey when audiences noticed that the majority of Seinfeld's guests were white male comedians. He didn't exactly take the criticism well. "Who cares?" he told Buzzfeed. "Funny is the world that I live in. You're funny, I'm interested. You're not funny, I'm not interested. I have no interest in gender or race or anything like that." Despite bristling at the criticism, Seinfeld did expand the show's guest list to feature a more diverse selection of comedians. Still, he landed in hot water again after sending out an unfortunate tweet to promote Lewis Black's appearance on the series. "New! Comedians in Cars Getting Coffee. Lewis Black. Black's life matters." Needless to say, that did not go over well, but Seinfeld never offered an apology nor did he delete the tweet. 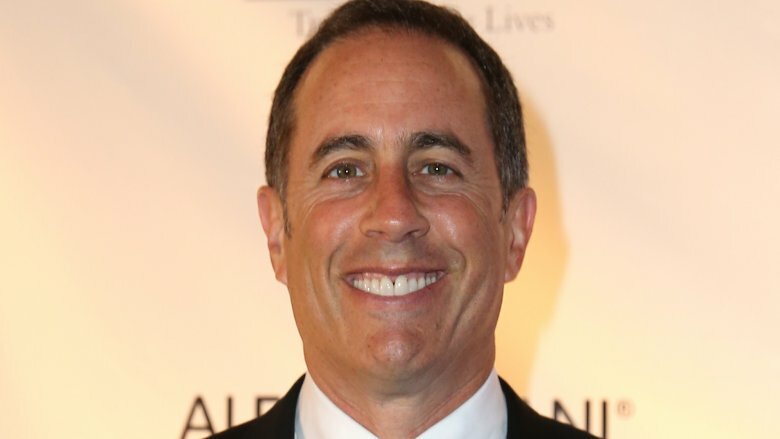 During an interview on NBC News, Seinfeld became embroiled in controversy yet again after self-diagnosing himself with autism. "I think on a very drawn-out scale, I think I'm on the spectrum," he told Brian Williams. "Basic social engagement is really a struggle." Parents of autistic children called the comedian's comments a "slap in the face," according to The Washington Post. Seinfeld quickly walked back his remarks in an interview with Access Hollywood. "I don't have autism. I'm not on the spectrum," he told Billy Bush (via Us Weekly.) "I just was watching this play about it and thought, 'Why am I relating to it?' I related to it on some level. That's all I was saying." It's no secret that Bill Cosby had a huge impact on Seinfeld's career. In the 2002 documentary Comedian, Seinfeld and Chris Rock both speak glowingly about Cosby, who makes an appearance in the film. During his Reddit AMA, Seinfeld even admitted that he wore white sneakers because of the elder comedian. So it's no surprise that Seinfeld hedged his reactions when allegations of Cosby sexually assaulting women started piling up. 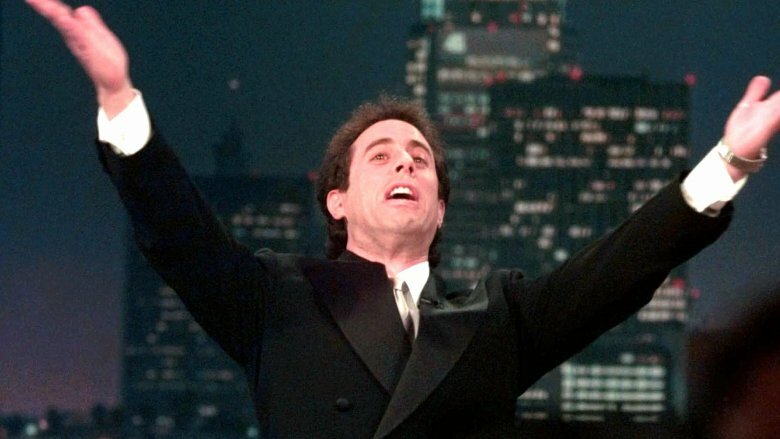 "It's sad, and incomprehensible," is all Seinfeld would say to Entertainment Tonight in 2014. While Seinfeld remained quiet in public about the growing scandal, his actions behind the scenes spoke louder than words. In July 2015, Seinfeld had a blurb about "idolizing" Cosby pulled from Mark Whitaker's biography, Cosby: His Life and Times, after learning that it was being used in promotional materials and on Amazon. "We were unaware that those quotes were still in circulation, and are asking the publisher to refrain from their future use," Seinfeld's rep told The Hollywood Reporter. It was the most significant stance Seinfeld took to distance himself from his idol. Seinfeld, who celebrated his 63rd birthday in 2017, clearly comes from a different era of comedy, but that hasn't stopped from finding success online with Comedians in Cars Getting Coffee. He continues to show a new generation that funny is just funny. Sure, he's stepped in some controversy along the way, but if Seinfeld has shown us anything, it's that he's quick to adapt and capable of finding the punchline in almost any situation. 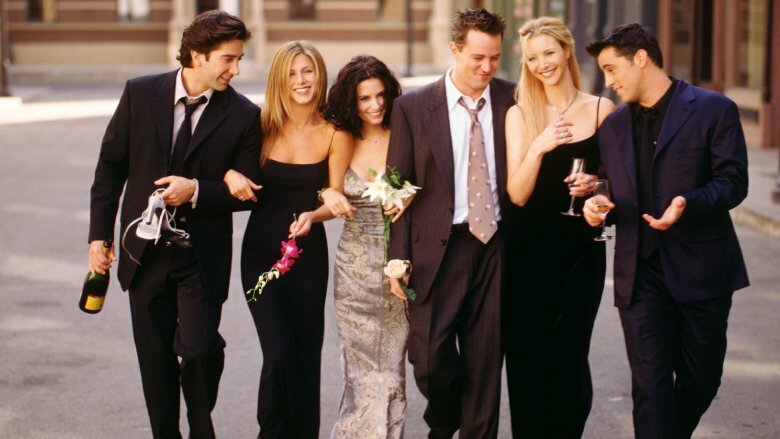 When Friends debuted in 1994, some critics noticed striking similarities to Seinfeld. The Houston Chronicle's Ann Hodges even dubbed it "the new Seinfeld wannabe." 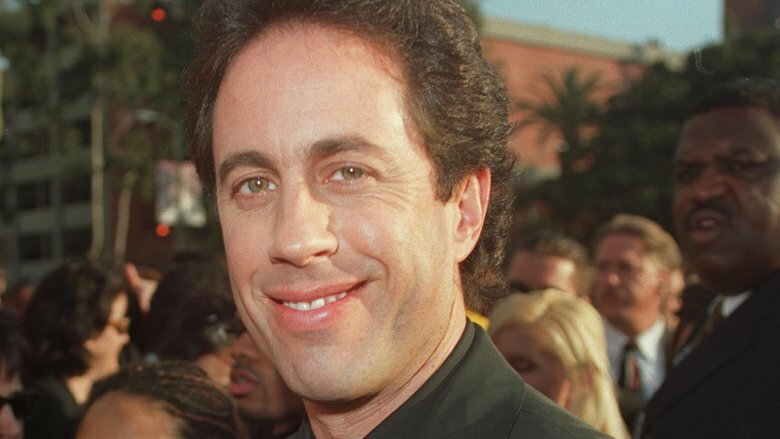 Initially, Seinfeld bit his lip as the two shows became ratings juggernauts as part of NBC's "Must See TV," but in 2003, he dropped hints to Bob Costas that he felt Friends was a Seinfeld rip-off. 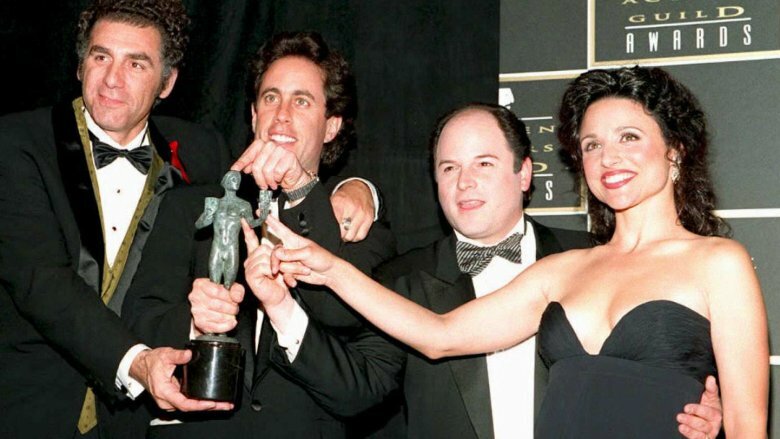 Seinfeld didn't broach the subject again until appearing on The Hollywood Reporter "Awards Chatter" podcast in 2016, where he once again mentioned the similarities, but this time, with some signature Seinfeld humor. "We thought, 'They wanna do our show with better-looking people. That's what they're doing here.'" he told the podcast. "And we thought, 'That should work.'" NBC actually suggested a crossover episode between the shows, but Seinfeld showrunner Larry David put his foot down. 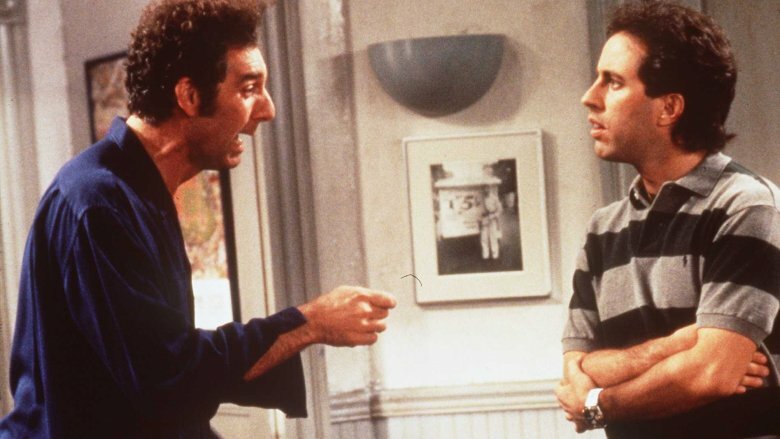 "Larry immediately said, 'No way are we doing that,'" former Seinfeld writer Peter Mehlman told Uproxx. "And I said to Larry, 'You know what would be good, though, if we just tell NBC we will do the crossover but in our show Ross would die.' I think Larry's arm twitched towards the phone. We had a big laugh about it."